10 Curvy Fashion Labels You Need to Try and You Will Love | Curvy Style Guide | The Shopaholic Diaries - Indian Fashion, Shopping and Lifestyle Blog ! Being curvy and loving fashion was a bad thing in India till a few years ago. Ask me why? Well, because hardly any brands understood the fashion needs of curvy and plus size women. While I used to find my size with many brands, a lot of my friends had difficulty finding trendy clothes as most curvy fashion brands made clothes that were anti-fit and boring. 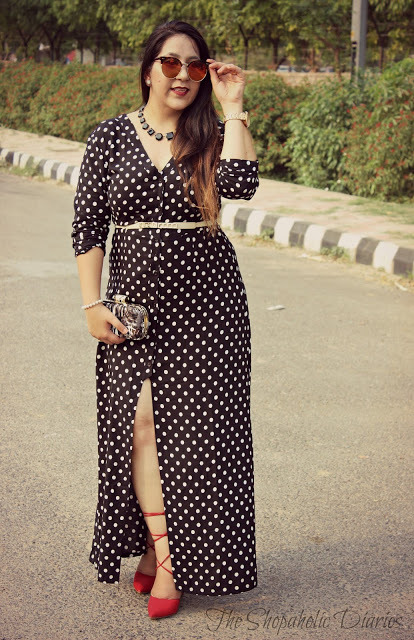 Thankfully, when a lot of international brands started introducing plus size lines along with their main lines; Indian brands also realised that this market has a lot of potential as women in India also started loving their curves and wanted to flaunt them in the best away. 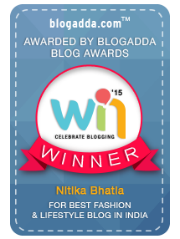 I also realised this when I had introduced the section 'Curvy Style Guide' on my blog, and many of my followers came up to me and told me how much they appreciate my posts and that it helped them feel confident about flaunting latest trends no matter what size they are. 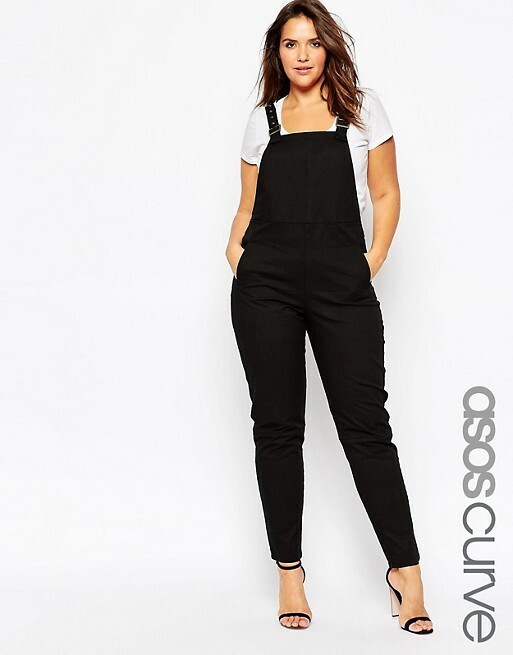 ASOS : One brand that I truly admire and love shopping from regularly is ASOS. 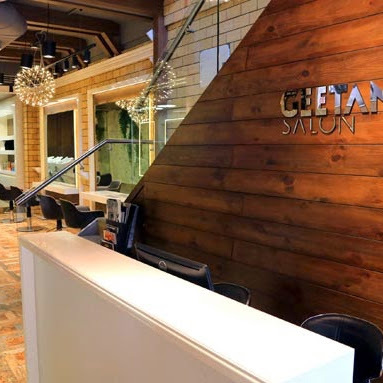 They have a Curve line and includes many styles as an extension to their regular line. If you are looking for trendy dresses, tops or even swimwear - you can trust to find the best designs at ASOS. The international shipping could be one con, but it's nothing if you want the best fashion for curvy sizes. You can read my earlier online shopping experience with ASOS here. I came across this brand while reading an article online and loved their classy dresses that you can pick for special occasions. Though the number of styles available currently on their website are limited, but have few beautiful draped dresses for those cocktail parties. 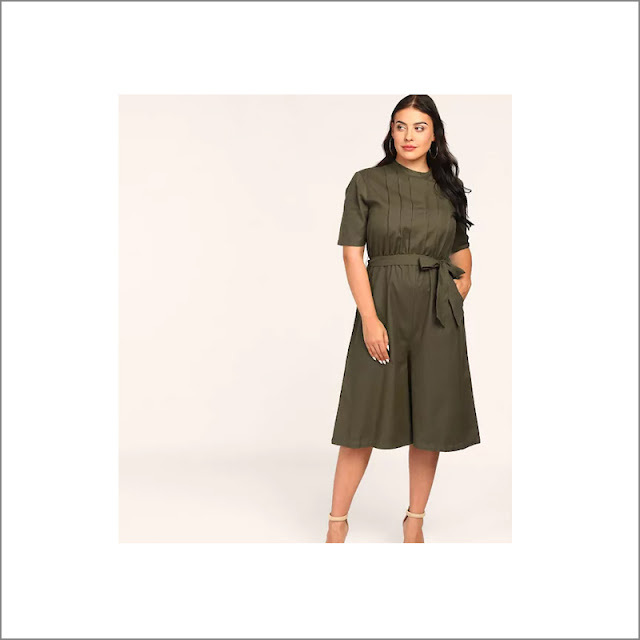 The high street fashion house has off late started including styles till size UK 24 in the plus size line and is one of the best options if you wish to buy office wear or smart casuals. 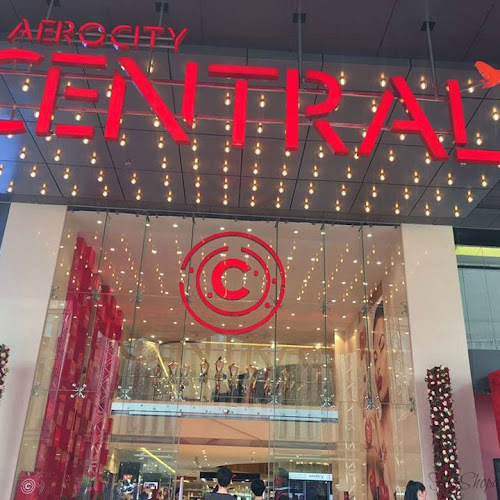 If you love fast fashion, you would admire the chic styles and reasonable prices of StalkBuyLove which offers plus size apparel and introduces new designs regularly. I haven't tried this brand myself, as they don't offer my size. But they include plus sizes, starting from Size 0 (here it is UK Size 16) and goes up to size 5 (UK 26) and includes western wear as well as ethnic wear like kurtas and palazzos in their collection. Unlike other plus size brands which only offer bigger sizes, Afamado offers all styles in sizes varying from XS to 6X, therefore making sure that any woman who is looking for trendy clothes online can pick a style no matter what their size is. If you are looking for wardrobe basics likes casual tees, tops, maxi dresses and more, you can try Lastinch which offers comfortable and reasonable clothing for women with curves. I didn't know about the plus size line Violeta by MANGO until I checked out their website recently. 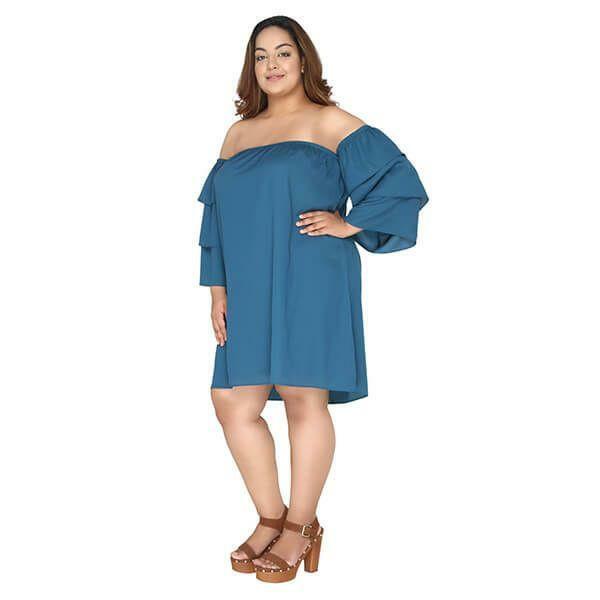 While I didn't see a lot of the plus size clothes in their stores, the website offers a wide range of styles in tops, dresses, bottom wear, swimwear and more in sizes upto 54, that you can get delivered anywhere in India. 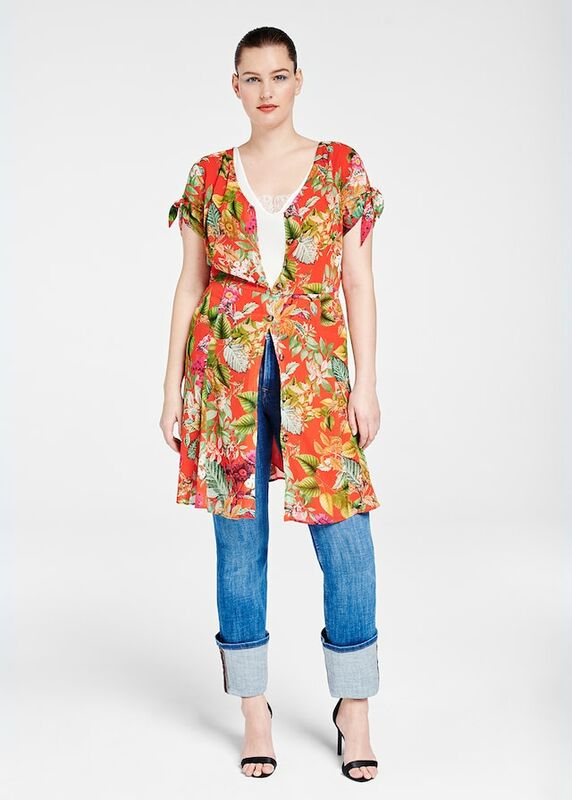 Another fast fashion label, Faballey has a lot of its regular styles available in plus sizes (just like the dress I am wearing above from their regular line) - therefore being more size-inclusive and offering latest high-street trends at reasonable prices. Again, I haven't tried this brand personally as they don't keep my size, but I loved the styles that they have. While other brands focus on just a couple of styles with mostly neutral colours, Calae had off-shoulder, one-shoulder styles in variety of colours that are perfect for every occasion. 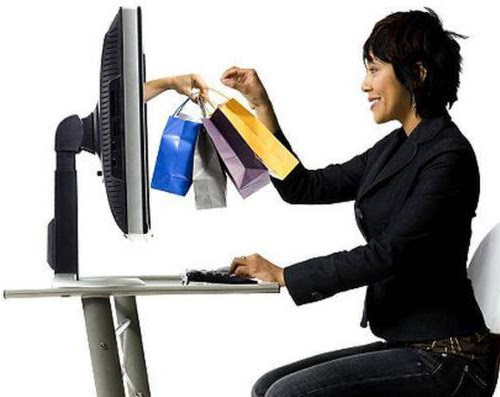 So, have you shopped from these fashion labels before? Which is one your favourite, let me know in the comments below! can we find like this stylish dresses in the online shopping website like locoshop.